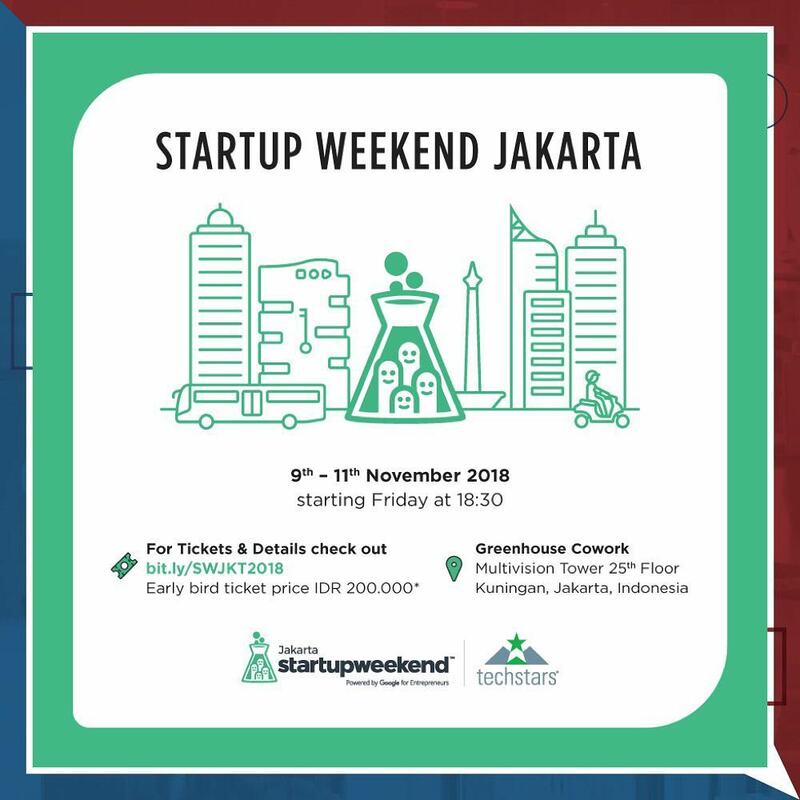 Launch your company in 54 hours and get your hands on the IDR 12.000.000 grand prize at the Jakarta edition of the Global Startup Weekend in November! So what is Startup Weekend? It is a 54-hour weekend event, in which individuals work together to pitch ideas for new startups and develop a working prototype demo and present it. All teams will be guided and receive valuable feedback from successful local entrepreneurs. Grab your early bird tickets while you can! For further information, go check out the link!